18" 3 Drawer Nightstand by Jamieson Import Services, Inc.
Foliage 18" 3 Drawer Nightstand by Jamieson Import Services, Inc.
A unique bedside accent piece, this nightstand is brought to life by beautiful bamboo carvings. Sustainably harvested woods give the piece its warm tones and rustic appearance. Though smaller in scale, the piece features three drawers, the perfect nightstand for a smaller bedroom. 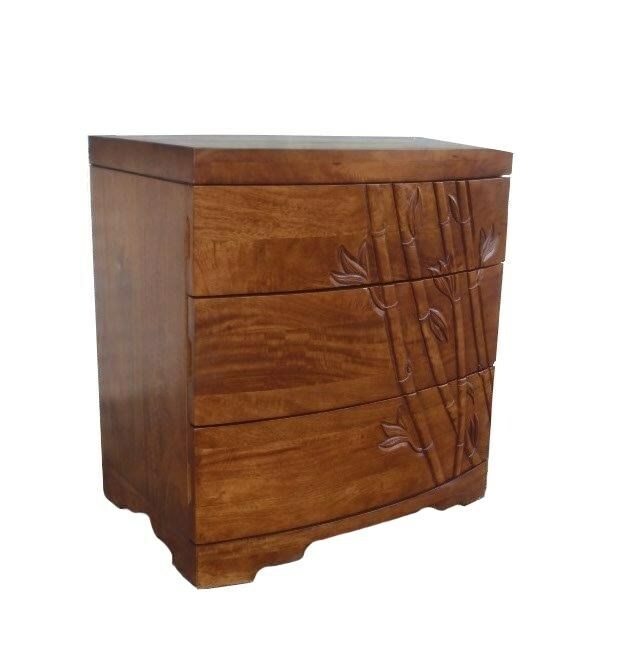 The Foliage 18" 3 Drawer Nightstand by Jamieson Import Services, Inc. at HomeWorld Furniture in the Hawaii, Oahu, Hilo, Kona, Maui area. Product availability may vary. Contact us for the most current availability on this product.